Left the Lidgett 1918 for Woodbridge Suffolk. 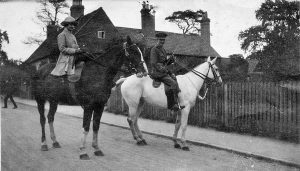 Officer and his wife on the G.O.C. staff for Clipstone Camp. Stabling for horses at Edwinstowe. Some officers lived or spent time in accommodation away from the camp. 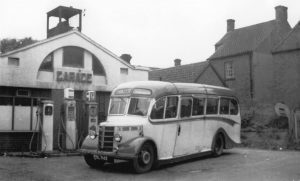 Before car ownership, the bus was the only means of seeing life outside the village. 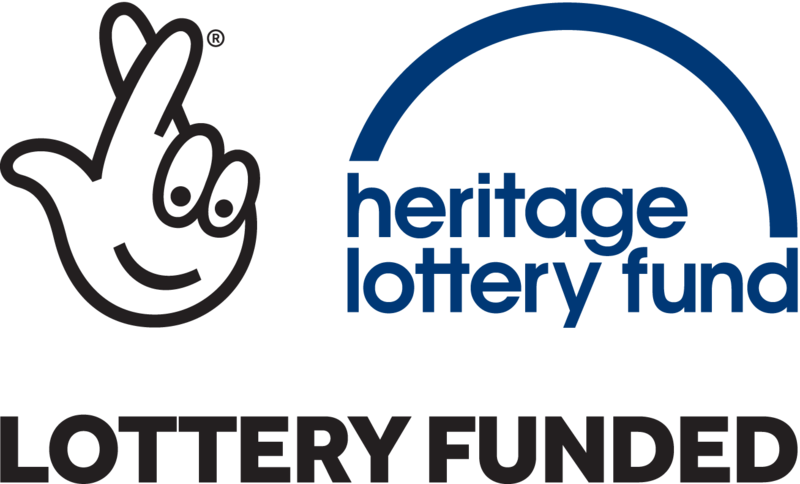 I am sure that there are many who will remember the trips organised by various organisations and individuals during the 40s, 50s and 60s. 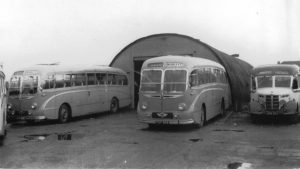 Holidays to Blackpool and Yarmouth were organised for many years, starting at the Club. I seem to remember that these were organised by Mr Ray Ward. 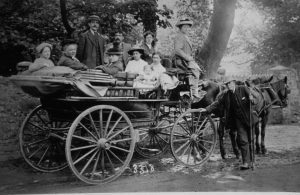 Cricket followers hired Morley’s buses to go to Trent Bridge. 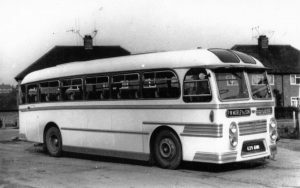 During the 50s, Â a regular Saturday night bus picked up the young folk from Ollerton, Edwinstowe and Bilsthorpe, for an evening at the Astoria, or Palais in Nottingham. What happened to those lovely comfortable buses? Whilst on holiday in Malta in 1980, I was sitting at a bus station and glanced at a bus that seemed rather familiar. I walked round the back of the bus, and I could see quite clearly, underneath a coat of paint, P.W. Morley and Son. Edwinstowe comprises two mansions, two hotels, a beer house, a number of neatly kept cottages with a few small shops and some farms, all of which cluster around the venerable church. Rustic and pleasant as it is…. And clean and quiet withal – though restful would perhaps be the better word. In front of the cottages are dainty gardens, redolent of sweet – scented flowers and having trees. From their inhabitants may be purchased, in the season, currants, raspberries, apricots, and other luscious fruit. The only object of interest in the village is the Parish Church, which is dedicated to St. Mary. Illustrated Guide to Worksop. 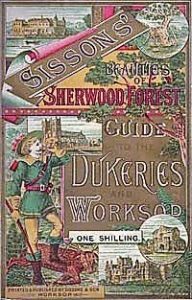 The Dukeries and Sherwood Forest. 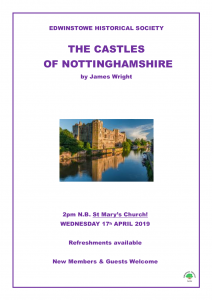 A pretty Saxon village, Edwinstowe – is really a half way stage of the circuit around ‘the Dukeries’ starting from Worksop, and as may be expected there is abundant convenience for the supply of refreshments. What is more, there is excellent private boarding house and hotel accommodation where the resources for entertaining visitors are such as are not often to be met with in rural districts. No more delightful country spot could be chosen than Edwinstowe in which to make a stay of two or three days: whilst those seeking quiet repose and health promoting change, may spend a more lengthy period to great advantage in this picturesque woodland scenery surrounding them. 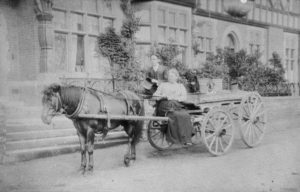 Horses and carriages are kept for hire, and visitors making Edwinstowe their headquarters will assuredly meet with every comfort and convenience. Edwinstowe is becoming a colliery centre, though happily the workings are so contrived as not to interfere with the amenities of the sylvan surroundings.